Future Hospital OYS 2030 is a development program that aims to radically modernize the facilities of Oulu University Hospital. 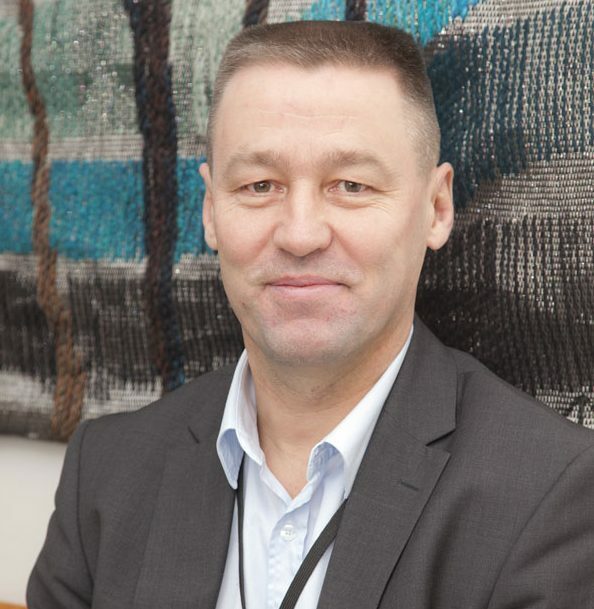 To Kari-Pekka Tampio, the Program Director, lean construction is not just a theory but the only feasible way to build for the future. The Oulu University Hospital facilities were completed in the 1970s. Since then, operational models and technologies have leapfrogged and the old buildings have become outdated. The extensive development program aims at increased productivity and more efficient operations. Increased flexibility, standardization of facilities and operations, use of information technology, and employment of renewable energy are some of the ways to achieve these goals. Tampio assumed his present position four-and-a-half years ago and built the program organization from scratch. Today, they have a dozen or so experts in the office and over 100 on design teams. The unit is responsible for program development, concept planning, and construction on the hospital campus. So far, they’ve completed small projects, and major new construction is on its way. “Operational development and reduction of process waste are at the heart of the hospital world,” says Tampio. “We begin with operational design and then move on to the design of physical facilities.” Value-stream mapping is an everyday tool in the program office, as is “Kaizen,” or continuous improvement. Target Value Design, TVD, is near to Tampio’s heart. He has studied it extensively and sought advice from Glenn Ballard, a leading U.S. authority in the field. To Tampio, TVD is more than a cost-reduction tactic. He sees TVD as an overarching principle that considers not only construction costs, but the whole life cycle of a facility, including operability. The program office uses the IPD model in their construction projects. On their first project, right after goal-setting, they called in designers. Later, the contractor joined the alliance and started collaborating with the designers on solutions that would meet constructability and operational requirements. Subcontractors also joined early. This approach has improved confidence in the decision-making on the project, especially relating to foundations, the building frame, and HVAC installations. A big advantage of lean over a traditional construction project is that design solutions are not finalized before bidding. Designers are not allowed to deliver too early even during construction. Last Planner Sessions (LPS) set the pace for designers. “We hold weekly meetings where we plan the objectives for the week and for the near future, and reflect on the previous week’s achievements,” Tampio explains. Tampio says that for upcoming projects he’s considering involving both designers and contractors from day one. Early integration is a key component of success for such a demanding project. In hospital construction, change is the only constant. Technologies can become obsolete during a four-year construction period. Being able to design and build flexibly maximizes the value potential of the end product. “There’s still a lot to do when it comes to lean in Finnish design and construction. I’m eager to share and develop my knowledge. We’ve been a partner in the national construction productivity project, IPT, since 2014,” says Tampio. He’s happy that Finnish clients are beginning to understand the value of lean construction. They need to commit to using lean principles, eliminating waste, and maximizing customer value. Open, collaborative development has borne fruit. “In just a few years, we’ve been able to make Finland number one in lean construction in Europe,” Tampio concludes. Aalto-yliopisto ja 11 rakennusalan yritystä ovat perustaneet Visio 2030 –konsortion, jonka tavoitteena on kehittää Suomen rakennusalalle visio, joka pohjautuu kansainvälisiin vertailuihin, vertailuihin muihin aloihin sekä teknologian ja digitalisaation mahdollistamiin toimintatapojen muutokseen. Visiota kehitetään tutkimushankkeiden kautta: toimitusjohtajaryhmä määrittelee tavoitteita kansainvälisen vertailututkimuksen ja teknologian megatrendien avulla. Samalla konkreettisissa tutkimushankkeissa etsitään alan tärkeimpiin ongelmiin ratkaisuja, joihin voidaan tarttua heti. Toimitusjohtajaryhmän visiotyötä tuetaan kansainvälisellä vertailututkimuksella ja tutustumalla laivanrakennusalan tuottavuusloikkaan. Tavoitteena on löytää maailmalta käyttökelpoisia rakennusalan innovaatioita, joita Suomessa ei vielä ole laajasti otettu käyttöön, mutta joiden hyödyllisyys on osoitettu muualla maailmassa. Vertailututkimukseen sisältyy muun muassa Yhdysvalloissa, Kiinassa, Japanissa, Saksassa, Ruotsissa ja Singaporessa toteutettavia kyselyjä ja haastatteluja, jotka liittyvät kyseisten maiden vahvuuksiin, sekä laaja rakennusalan innovaatioihin liittyvä kirjallisuustutkimus, yksityiskohtainen tutustuminen laivanrakennuksen prosessikehitykseen ja tapahtumassa olevaan tuottavuusloikkaan. Tutkimustiedon pohjalta toimitusjohtajaryhmä tekee soveltuvuusanalyysin Suomen rakentamiseen ja määrittää tavoitteet vuodelle 2030. Lean suunnittelunohjaus on toinen painopistealueista. Konsortion yritykset kokevat, että suunnittelun ohjauksessa on paljon kehitettävää. Aalto-yliopiston tekemästä kansainvälisestä haastattelututkimuksesta ilmeni, että ympäri maailmaa painitaan saman ongelman parissa: Urakoitsijan kannalta suunnitelmia ei saada ajoissa tai niissä on riittämättömät tiedot hankintaa tai toteutusta varten. Toisaalta suunnittelijalle on epäselvää, mitä urakoitsija tarvitsee ja mikä on asioiden tärkeysjärjestys. Tyypillinen lopputulos on, että kaikkia suunnitelmia ”kiirehditään”, jolloin mikään ei ole toista kriittisempi. Kansainvälinen haastattelututkimus löysi useita menetelmiä, joilla suunnitteluprosessi on saatu paremmin hallintaan yhdistämällä molemmat näkökulmat. Näitä menetelmiä testataan vuoden 2017 aikana konsortioyritysten case-hankkeissa. Toiseksi kriittiseksi tutkimusaiheeksi valittiin yhteistyön ja viestinnän kehittäminen rakennushankkeissa. Avainasiaksi paljastui luottamus sekä sen synnyttäminen ja johtaminen hankkeen elinkaaren aikana. Viestinnän osalta tutkimuksessa keskitytään erityisesti muutosten viestintään eli siihen, miten saadaan kaikki hankkeen toimijat tietoiseksi hankkeessa tapahtuvista muutoksista mahdollisimman reaaliaikaisesti. Tutkimuksessa on haastateltu laaja joukko rakennusalan ammattilaisia sekä Suomesta että kansainvälisesti. Fira, a Finnish building contractor, has transformed itself from a construction company into a service company. Now, it wants to become an information company empowering on-site workers with data. When employees don’t have the means to work efficiently, they become a costly expense. A plumber, for example, creates value only two hours a day. Construction workers spend one day a week just moving or clearing away the stuff of their co-workers. Companies try to compensate for poor productivity by hiring a cheaper workforce from abroad. Of the lean construction methodologies, Last Planner has had the greatest impact on Fira’s construction sites. It has brought to light a problem with site management: if a supervisor spends two-thirds of his or her time walking around a site to manage it and collect information, that’s process waste. That’s why Fira implemented Sitedrive, a mobile tool for communication between supervisors and craftspeople. Previously, some sites had used WhatsApp for the same purpose. As good as any single app may be, it is still a point solution. Fira is now promoting Open Data Platform, which allows the sharing of information between different systems. It may be able to create a software and data ecosystem for the construction industry. Finland is known for clean tech, health tech, and gaming. Alhava envision that in two years we’ll be known for world-class construction software development. Fira is also making construction lean in other ways. It has developed a strategic partnership with CarinaFour, a shipbuilding company with experience using Product Information Management, PIM. They’ve showed how constructing a building on-site that normally takes four hours can be done in one hour in a manufacturing facility. Fira has its own modular bathroom plant in Hämeenlinna. It provides one delivery instead of having each subcontractor contribute its own. Alhava believes that we must move from project thinking to partnership thinking. Fira wants to be able to open a dashboard that would provide one view on each subcontractor working on all their sites. “Only after we influence the productivity of subcontractors we can improve the productivity of the whole industry,” Alhava wraps up. Aalto University is combining process development and digital technology to take Finnish construction to the next level. Seppänen is happy with the growing enthusiasm that Finns have shown for lean construction during his tenure. Public-sector clients, especially, are using project alliancing, a form of Integrated project delivery. They’ve overcome the hurdles of regulated public bidding and developed a superb partner selection process. “Most companies still see lean as a set of tools and methods, like a big room, for example. We have a long way to go in continuous improvement. And I don’t think that yet we have lean organizations in construction,” Seppänen maintained. He says that the most critical issue is to involve subcontractors in lean development. That is possible only if project participants understand each other’s thoughts and business logic. “We’ve researched globally what makes a project excellent. Nobody in outstanding projects talks primarily about BIM or tools. They mention trust as the key success factor.” Partners must trust each other’s capabilities and their willingness to work toward the common goals. Haste is a common complaint in construction. Seppänen has conducted research at Aalto on pilot projects that shows how haste can be avoided while halving the construction time. This is possible with takt production, in which the typical two- to three-week buffers between successive tasks are unnecessary. In traditional construction, the ROI for prefabrication has been questionable, whereas in takt production, the benefits are indisputable. There’s a huge untapped potential in involving material suppliers in lean development. IoT sensors, for example, could feed them condition data for R&D. Aalto’s research corroborates the claims that productivity in construction is poor. Seppänen’s research team has used indoor positioning to track the movements of workers and concluded that they create value 30%, or at best 40%, of their time on site. Installation teams use 20% of their time moving materials aside that obstruct their work. Seppänen says that empowering individuals with situational awareness and personal daily task instructions is essential if we want to improve productivity. This calls for digital tools, which Aalto is also exploring. Syksyn ensimmäinen IPT2-hankkeen syventävä työpaja järjestettiin BIM Kampuksella Helsingissä 11.9.2018. Työpaja kokosi yhteen alihankkijoiden integroinnista kiinnostuneita tilaajia ja palveluntuottajia laajalla rintamalla. Lauri Merikallio (Vison Oy) alusti alihankkijoiden integrointiin liittyvistä kehitysaskeleista sekä hyödyistä. Sairaalan rakennushanke Sutter Health Kaliforniassa on ollut uraauurtava edistäessään alihankkijoiden roolia projekteissa ja kehittämällä meillekin tutun kehäajattelun; strategisesti tärkeimmät alihankkijat tulisi integroida mukaan projektiin varhaisemmassa vaiheessa ja voimakkaammin kuin vähemmän kriittiset toimijat. Osapuolten integroinnilla ja yhteenkuuluvuuden tunteella on tehtyjen tutkimusten perusteella suora yhteys projektin menestymiseen. Alihankkijan sopimuksellinen integrointi herätti työpajassa keskustelua. Juha Virolainen (Vison Oy) avasi terminologiaa, mm. mitä aliallianssilla tarkoitetaan ja miltä osin se poikkeaa muista alihankintamalleista. Olipa kyseessä sitten YSE- tai allianssipohjainen sopimus, tärkeintä on, että sopimus tukee aidosti integrointia ja välittää tilaajan tavoitteet ja vaatimukset kaikkien keskeisten toimijoiden tietoon. Petri Pyy (Pohjois-Savon sairaanhoitopiiri) jakoi kokemuksia KYS:n allianssista ja talotekniikkaurakoitsijoiden kanssa tehdystä aliallianssisopimuksesta. Integroinnin keinoina on käytetty kaupallista mallia, joka on vastaava kuin allianssiosapuolten välisessä sopimuksessa, sekä mm. ottamalla aliallianssin jäsenet mukaan APR:n ja AJR:n toimintaan. Työpajan iltapäiväosio keskittyi toimitusketjun integroinnin johtamiseen. Juha Salminen (Consti Yhtiöt Oyj) korosti integroinnin esteiden poiston tärkeyttä. Lähtökohtana pitäisi olla, että alihankkijoilla oleva erikoisosaaminen pystytään hyödyntämään ja valjastamaan projektille parhaalla mahdollisella tavalla. Juha peräänkuulutti tarvetta kehittää monistettavia sopimusmalleja ja luoda yhteisiä linjauksia siitä, mitä eri sopimuksilla haetaan projekteissa. Petri Nieminen (Ruukki Construction) toi esiin alihankkijan näkemyksiä integrointiin. Ruukki pyrkii edistämään integrointia tavoittelemalla isompia kokonaisuuksia, jotka pitävät sisällään urakoinnin lisäksi myös suunnittelutyötä. Tavoitteena on koko toimitusketjun optimointi. Petri korosti luottamuksen rakentamisen ja ylläpidon merkitystä onnistuneen projektin kulmakivenä. Astute builders are starting to learn that early integration is a necessary ingredient of a successful construction project. 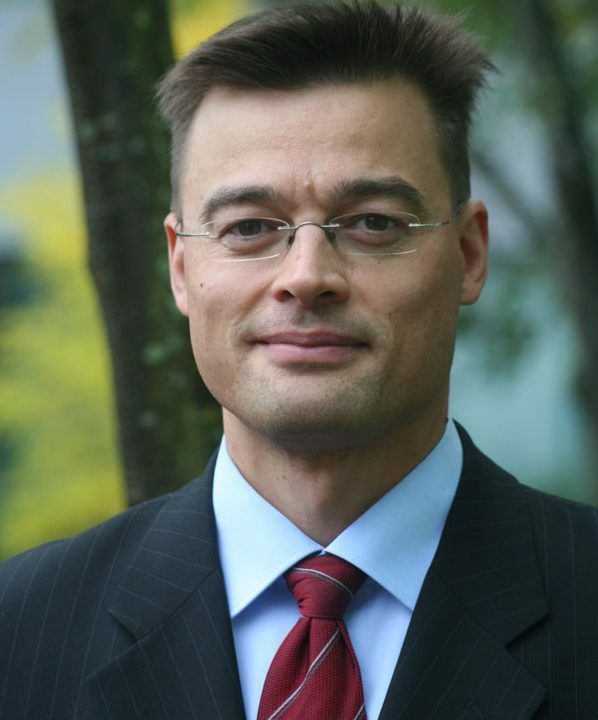 Matti Kruus, CEO of Indepro, a project management firm, has seen many construction sites. Not only as a project manager, but also as a jury member of the Construction Site of the Year competition. He recalls a site visit during which the contractor gave a presentation and didn’t once mention lean construction terms. When Kruus asked the contractor if they’d used integration in the wooden multi-story building, the presenter steadfastly denied doing so. It came out later in the discussion that the contractor, structural designer, manufacturer, and installation crew had, in fact, discussed the installation well in advance to avoid any future problems. Integration at its best! Kruus became interested in lean construction in the process of writing his PhD thesis on design management about 10 years ago. Over the years, the practice of lean construction has steadily gained ground. Last Planner®, for example, has become very popular in Finland. Lean and Integrated Project Delivery, IPD, have almost become synonyms in the industry. In Finland, projects governed by IPDs are usually called “alliance projects.” Kruus does not like this merger of concepts. He thinks that an alliance makes for a great delivery system, but believes that companies can practice lean construction independent of the project model. Some clients and project managers are open to new delivery models or even require them. Most often, contractors are able to take the initiative. They see an opportunity to start collaboration with the client before the bidding starts and they can win the bid by proving their lean capabilities. Once the project starts, contractors can save time and money by implementing lean methods. Lean construction can be a cost saver in many ways. When contractors are involved at early stages of the project, they can come up with cost efficient solutions before creating a detailed design. The modernization project of the headquarters of the Finnish phone operator Elisa serves as a good example. Using early integration, the Last Planner method, Big Room-working methods, hiring key subcontractor early and continuous improvement from phase to phase, the project was both on time and on budget, which is not often the case in a renovation. Good planning allowed the users of the building to stay operational on the premises during construction. That saved them money and increased their customers’ satisfaction. Matti Kruus sees employee morale as an essential element of lean. “What I especially like about lean is the idea of a culture of respect,” Kruus says. A fine example of this was Manskun Rasti, an office project built by Skanska. A seasoned master builder showed respect for younger workers, not overemphasizing his title, but was still firmly at the helm. Systems and tools are necessary, but people make or break a project. “Happier workers are more productive workers,” Kruus suggests. Kruus thinks that main contractors treating their subcontractors well is an essential element of lean. If the cheapest subcontractor always gets the job, chances of building an efficient project flow are very slim. Kruus sees prefabrication as a key factor in making construction both lean and productive. Forward-looking Finnish contractors have already shown that prefabrication does not have to mean inflexibility. Good design and efficient production can go hand in hand. Today, several big construction projects in Finland follow lean principles and use project alliances. We’ve come far very quickly thanks to trailblazers like Professor Harri Haapasalo. 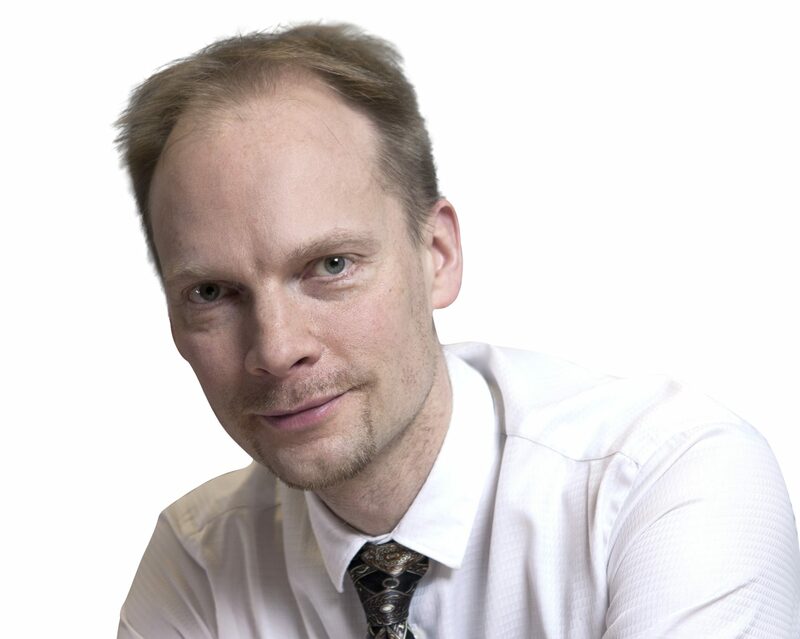 Harri Haapasalo is the Head of Industrial Engineering and Management at the University of Oulu. After graduating with an M.Sc. in construction economics, he began work on developing and researching computer-aided design processes. He earned his Doctor’s degree in Industrial Engineering and management and has since received several scientific awards in lean construction. Lean construction originated in the manufacturing industry, and specifically at Toyota. Haapasalo realized that its principles could be applied to the construction industry as a remedy for its poor track record in productivity. “We understood that suppliers alone could not solve the productivity challenge. Clients and the way in which they procure services are essential pieces in the puzzle,” Haapasalo says. 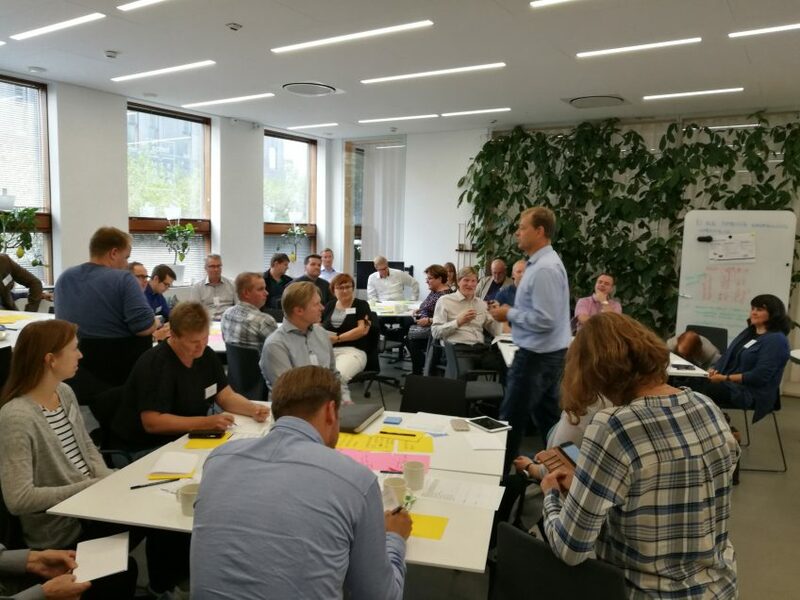 What followed from this insight was a series of efforts to bring the lean philosophy to Finnish construction including the founding of Lean Construction Institute Finland and a sequence of industry-wide development projects. As a result, Finns have been able to implement lean construction in record time. Haapasalo says that the essence of lean is to deliver value to the customer. Here’s the caveat: “Don’t deliver what the customer wants. Deliver what the customer needs.” Project preparation done right will uncover true needs that may be quite different than what the customer originally imagined. “This is a typical claim that works as an excuse for not doing anything,” Haapasalo says. He admits that applying lean to project delivery is initially demanding. But no one can argue against the benefits of lean in construction: process efficiency, shorter lead times, elimination of waste, reduction of inventory, and improvements in resource utilization. The Toyota production system is based on three cornerstones: the value-creation process, people, and tools. Management must give its employees the tools they need so that they can follow the established processes. Last Planner, for example, is a great tool for planning production schedules collaboratively. A simple suggestion box can be enough to collect ideas leading to continuous improvement. These, in turn, follow the collaborative contribution and continuous improvement philosophies. Company size does not matter. What matters most are the number of outputs and process repetition. A small company performing 100 installations annually can implement lean more easily than a huge company producing one nuclear power plant every 10 years. Every new initiative – for example, the implementation of quality management or BIM – requires initial investment. You need to first understand what waste you’re trying to eliminate. You can then calculate the lifetime benefits of and investments needed for lean construction, and come up with a business case supporting it. Everything about lean construction points to a positive ROI. In Finland, we’ve managed to create a sweet spot for lean construction in alliance projects. But any project can benefit greatly from early collaboration between the client, designers, and contractors. Project-level thinking is the most important factor for success, not the “leanness” of individual companies. “Implementing lean as a one-off project is like deciding to run a marathon without any practice. Your feet will hurt and you will give up running because of the bad experience,” Haapasalo observes. Finns have practiced and run the first marathon successfully, but companies have involved their most motivated people, the best “runners,” to participate in the process. Sustainable success requires getting everybody in the company on board. Haapasalo says that the next step is to digitalize the lean construction process. He sees huge potential in building the digital twin of physical construction. “User-oriented digitalization combined with lean construction will eventually provide a tenfold improvement,” he predicts. Sääksi knows her industry. She came into the business in 1993 and has worked as a site engineer and estimator, managed procurement, and controlled design. She has experience with project alliancing and is well-versed in lean construction, even if she does not promote the term herself. Sääksi remembers how lean construction entered the scene in the 1990s at a time when the industry was not ready to embrace it. Now, lean is an essential philosophy and practice in many companies, including YIT. “My goal is improved productivity at the enterprise level. I’m trying to find common factors in all our segments and functions,” Sääksi explains. A big contractor typically maintains different organizations for various types of new building, renovation, and infrastructure construction. Likewise functions like development, design, estimation, and production, form separate silos within a company and between organizations. YIT has discovered that working toward the same goal necessitates mental and physical removal of these silos. Sääksi is currently mapping the value chains in each business segment, looking for ways to eliminate process waste. Pilot projects offer a quick way to test new ideas. A recent pilot of interior construction showed that YIT could cut lead time by 50% without using any more resources than normal or investing in new technology. The pilot motivated craftspeople, and site safety and quality improved. The company incorporates the lessons from pilots like this into their production processes. Construction projects have become complicated, but each one is not unique, Sääksi observes. For example, the process used to build a certain structure or a portion of a metro tunnel can be repeated on many projects, which enables continuous improvement of the solutions. Many in the industry see digitalization as a panacea for poor productivity. 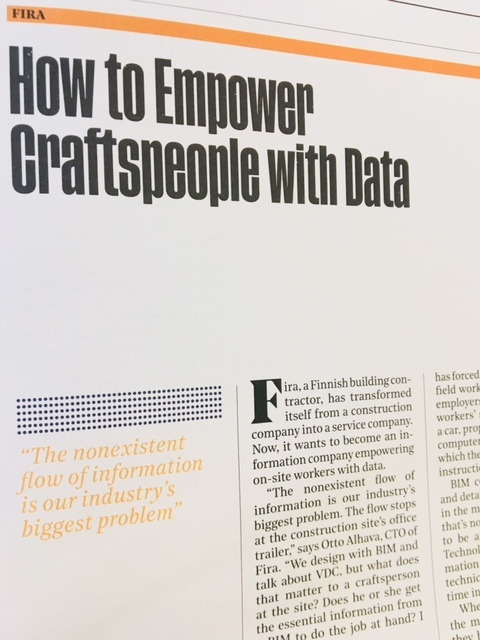 Sääksi’s main message is to start with people, not technology. “I don’t see any point in digitalizing underperforming processes and hope they become more efficient,” Sääksi says. At its worst, digitalization can be an excuse for not changing unproductive behavior. A construction project is a joint journey aimed at meeting customer expectations. YIT emphasizes that communication between the customer and the project team should begin early in the project. The company utilizes the Last Planner system widely and aims at pull planning and improving process and information flow. 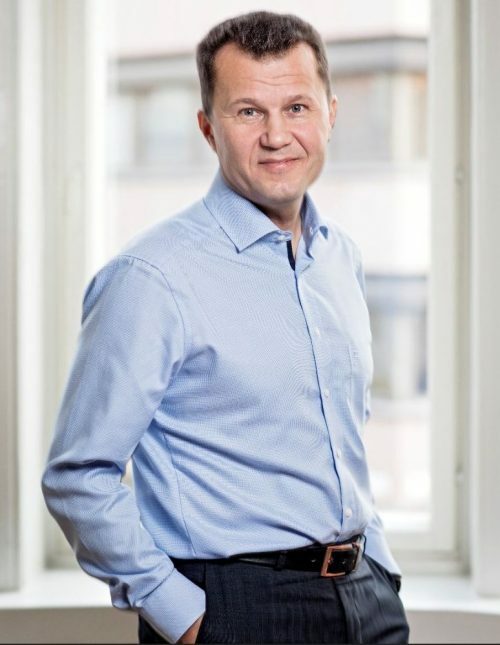 Sääksi says that once shared processes are in place, digitalization makes sense. She sees great value in making standardization visible with digital tools. Digitalization helps with open sharing of information and distributed learning, and it enables real-time control and performance measurement. The Finnish lean construction community has set the ball rolling. Now it’s time to scale up. 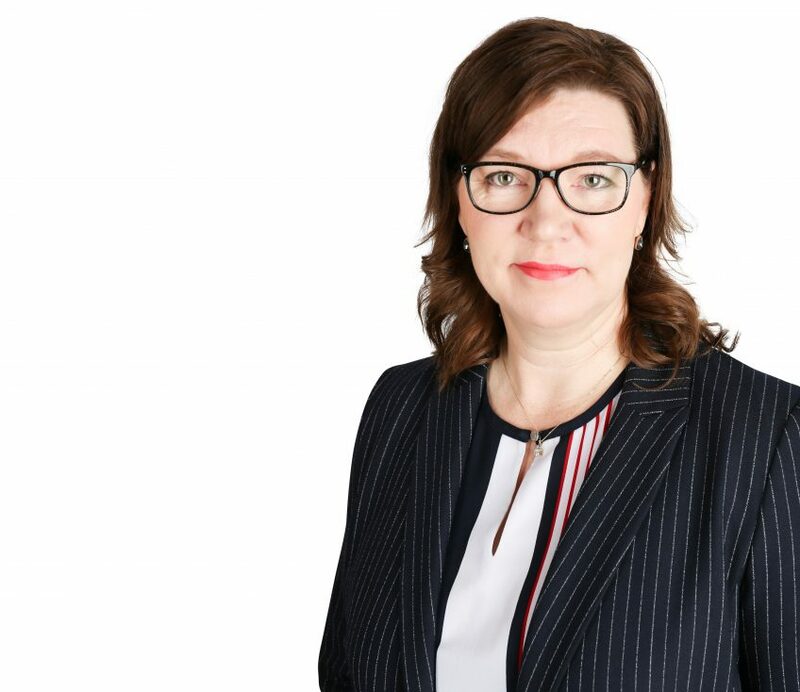 As the Managing Director at RAKLI (The Finnish Association of Building Owners and Construction Clients), Laurikainen has seen how, especially, public sector clients have embraced project alliancing in Finland. He’s happy that the Finnish construction industry is now formalizing the contract documents and guidelines for project alliances. 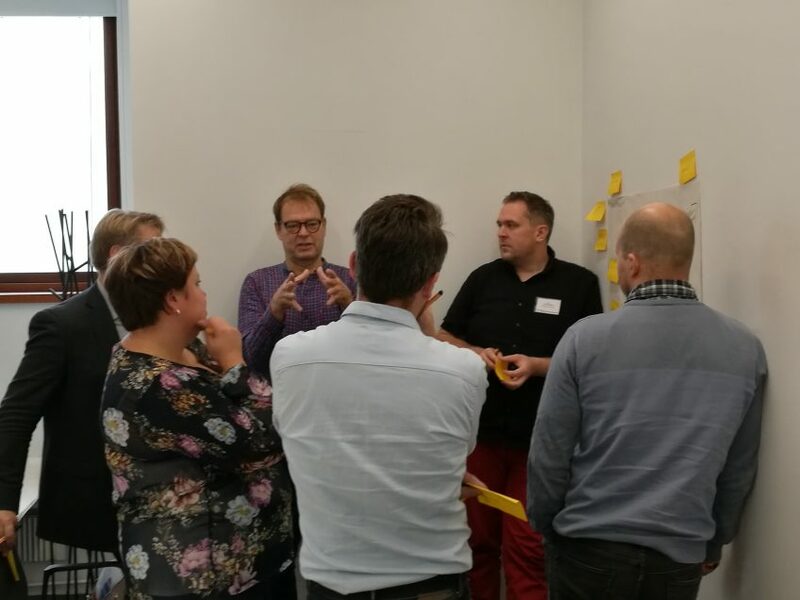 However, Laurikainen is adamant in his view that early integration and other lean methodologies provide value for all project delivery models. Education is one way to infuse new practices into the industry. Lean philosophy should be part of all curricula. The Lean Construction Congress 2018 in Helsinki is a great example of combining hands-on training with international networking. 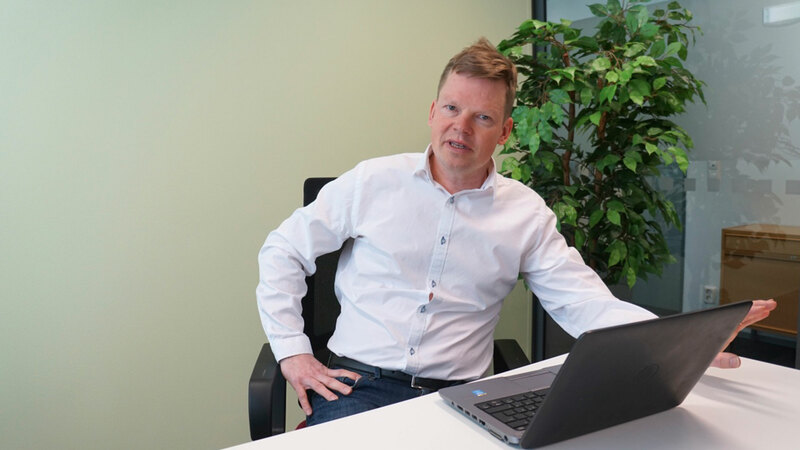 Laurikainen talks about the six tenets of lean construction based on his own experiences in leading positions at Wärtsilä, Hewlett-Packard, and the City of Helsinki. Lean construction must extend to the individual employee. “To me, people are at the center. If you empower individuals, they will do their best, and more,” Laurikainen believes. Change employees need a direction, sufficient resources, and appreciation of their efforts. The concept of waste is so critical that it should be introduced during all basic professional education. An empty worksite is a visible testimony of inefficiency, but waste comes in many forms. It does not limit itself to the builders; clients and users experience it as well. The construction industry should be able to create WOW experiences; give the customers something more and better than what they expected. With simulation and operational design, we can uncover needs and solve customer problems in the early stages when 80% of the project costs are first determined. “How can you optimize the whole if you don’t collaborate,” Laurikainen asks. Clients hold the key to enabling collaboration in any type of project delivery model. Laurikainen sees digitalization as an enabler for managing the whole; whereby design BIMs evolve into production BIMs and further to digital twins that constitute complete city models. Laurikainen urges LCI Finland to introduce lean thinking to building permit processes and urban planning in cities. “We need to start managing the flow instead of managing resources,” Laurikainen reminds. He wonders if clients and contractors together could start reviewing how to better make project schedules. Today’s schedules don’t reflect the possibilities and requirements of flow production. “Continuous improvement should be a part of organizational culture, but it also matters in projects and networks. Some may disparage suggestion boxes, but they are, in fact, Kaizen at work,” Laurikainen says. Employees are the experts in their own work. Management should actively listen to them and give them sufficient resources to fix any flaws in the process. Laurikainen links prefabrication with continuous improvement. As an industrial process, it’s inherently evolving. However, you cannot prefabricate without early integration, a key lean practice. Prefabrication can also boost construction safety, which is still inferior compared to other industries.